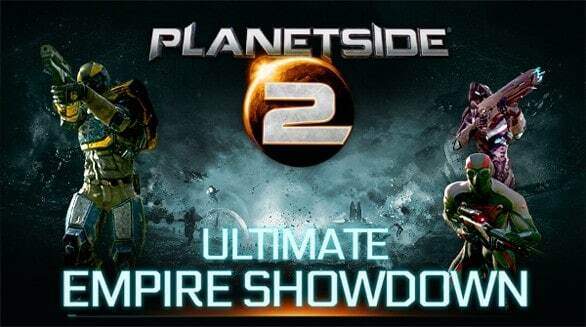 Sony Online Entertainment has announced a really exciting PlanetSide 2 tournament called The Ultimate Empire Showdown, taking place on Friday January 25th in Culver City, California. This is the first major PlanetSide 2 competition and SOE is pulling out all the stops to ensure that this is an event to remember. MMO ATK will be on hand at the event, and we’re going to livestream the entire event as well as take some great interviews with developers and some famous YouTube personalities. From what we know the event will feature three hand-picked teams that are sure to guarantee some amazing MMOFPS battles. The team captains are some famous YouTube icons Total Biscuit, SeaNanners and Level Cap. The captains will be joined by both members of the PlanetSide 2 community as well as developers from Sony Online Entertainment which should form some pretty competitive teams. The tournament is only one part of the event as SOE has teased some pretty exciting PlanetSide 2 news including a roadmap for the game’s next few months. We can probably expect to hear some news on their eSports initiatives and some brand new partners for the game. Like I said above we do have some interviews planned for the players and developers so if you have any questions, any questions at all, drop us a line in the comments below and i’ll be sure to ask them. We will post an update on Friday with more information on when we will be streaming so make sure you like us on Facebook and follow us on Twitter for the latest updates.